photo-eye Gallery OPENING Friday November 17th, 2017 – Rendezvous with Light by David H. Gibson & Chaco Terada photo-eye Gallery is honored to announce Rendezvous with Light an exhibition of photographs by represented artists David H. Gibson and Chaco Terada. 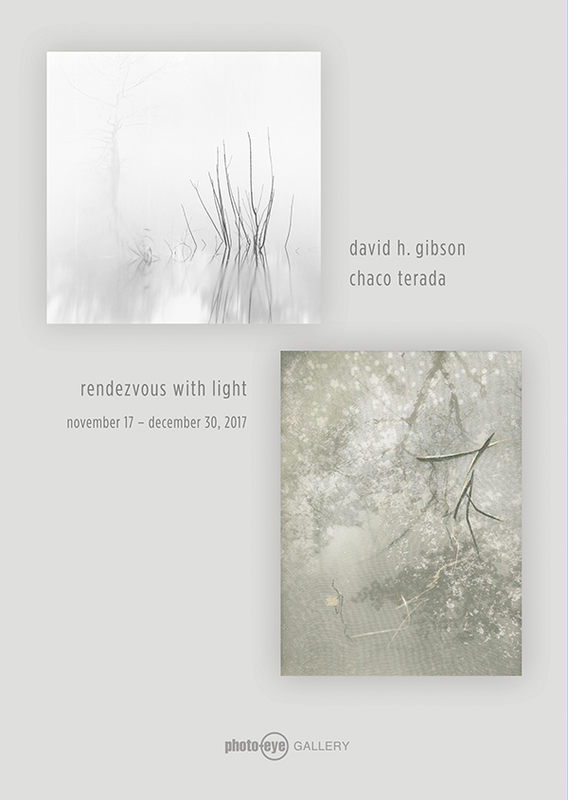 photo-eye Gallery is honored to announce Rendezvous with Light an exhibition of photographs by represented artists David H. Gibson and Chaco Terada. The two-person-show will feature over 35 works including dual layer silk prints by Chaco Terada as well as silver gelatin prints, pigment ink prints, and handmade artist books by David H. Gibson. Rendezvous with Light is an exhibition that juxtaposes the work of Dallas based photographic artists David H. Gibson and Chaco Terada. 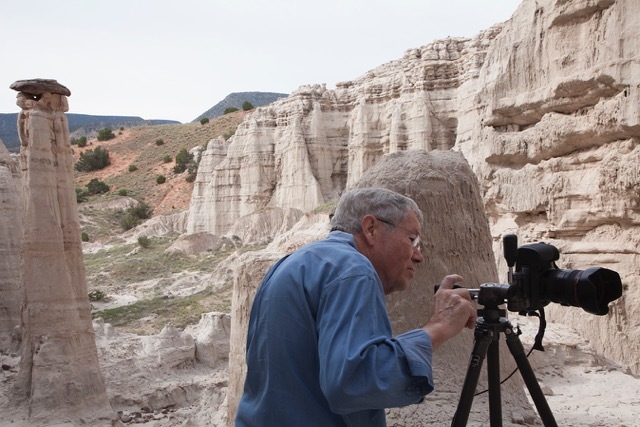 While the artists maintain separate practices, they often work closely together, sometimes even photographing in the same locations, and images in Rendezvous with Light share similar natural themes. The exhibition addresses notions of light, time, space, and origin while possessing meditative, poetic, and otherworldly qualities. Gibson and Terada each express these ideas in a unique fashion. A master of subtlety, David Gibson loves to examine how light and atmosphere transform an environment over time. For decades, Gibson has created time sequences, a series of images where he returns to the same locations to photograph a single setting over a small period when the rapid environmental change is taking place minutes – typically near a body of water at sunrise. The mood, tone, and sense of space within the scene varies widely between images that are made within minutes of each other. Gibson’s time sequences take the form of wall scrolls, handmade artist books, and are occasionally broken out into individual prints. 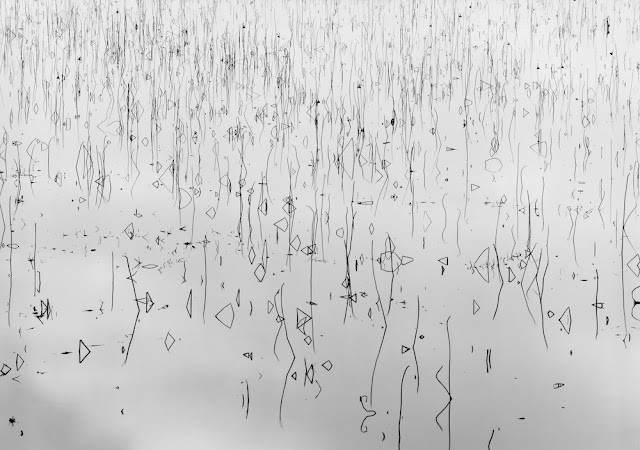 Overall, Gibson’s landscapes exude notions of quiet vastness, minimalistic composition, and rhythmic mark-making while maintaining a unique and specific description for a particular location. Terada’s photographs utilize multiple layers of opaque silk and occasionally incorporate calligraphic brushstrokes using traditional Japanese inks. Her prints literally hold light and space within the picture. 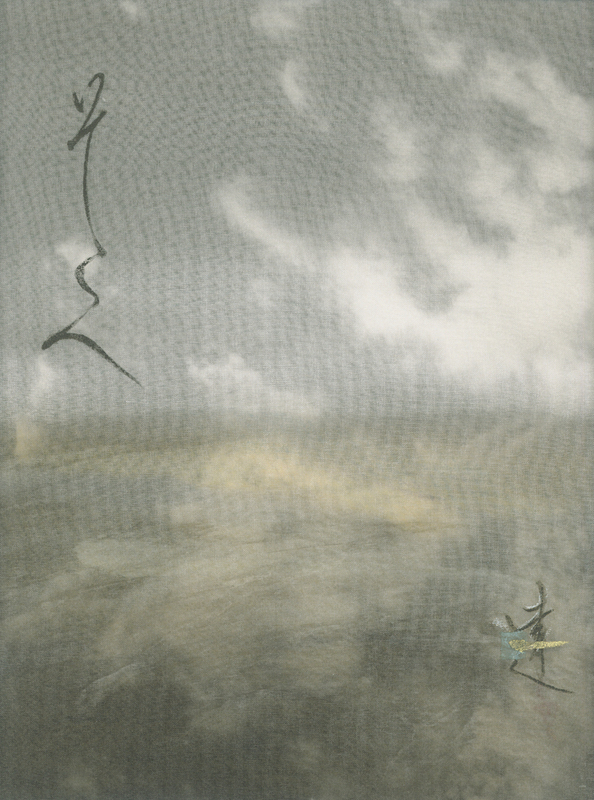 Quiet and contemplative, the image changes ever so slightly as you move around it, reacting in space and allowing the zen imagery to fall and flutter as if in air or on water. The visual experience is captivating, speaks to transient states, and gives rise to meditative moments. Though Terada draws inspiration from traditional Japanese culture and calligraphy the final result is a modern and personal approach. Due to Terada’s process, all of her works in this exhibition are one of a kind. 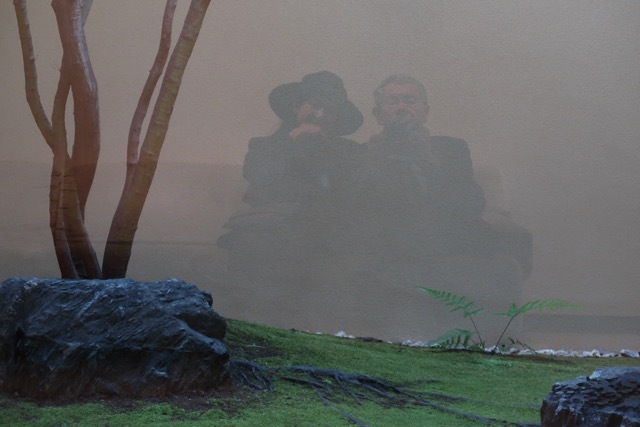 David H. Gibson and Chaco Terada on the 5th floor of the Kahitsukan, Kyoto Museum of Contemporary Art. The garden is enclosed on three sides and subject to changes in the weather. David H. Gibson photographing in Plaza Blanca. David Gibson is primarily a self-taught photographer. Years of developing and refining his photographic technique have afforded him much recognition. He has also photographed extensively in Ireland, a project for which he received a grant from the Ballinglen Arts Foundation in 1995. He has exhibited widely in both group and solo exhibitions, and his work is a part of several permanent public and corporate collections such as the Amon Carter Museum and the Museum of Fine Arts, Houston. Gibson's luminous black-and-white landscapes demonstrate a remarkable sensitivity to light and mood. Dramatic clouds, imminent storms and an occasional lighting strike dot Gibson's awe-inspiring settings. His images invite the viewer to share in a reverence for place and light, just as the prints themselves reflect his devotion to the art of printmaking. 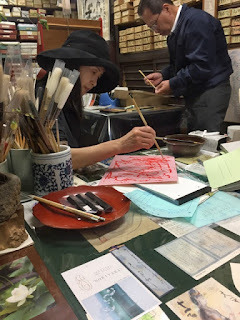 a calligraphy supply store in Nara, Japan. Chaco Terada, originally from Japan, was trained at a young age in the art of calligraphy. When Chaco was in her twenties she had the opportunity to work on her calligraphy in ten countries as a part of the cultural exchange programs, Up with People and The Ship for World Youth. When her time with those groups ended she moved to the United States, where she discovered photography and started incorporating it with calligraphy. Chaco has led demonstrations and has taught calligraphy workshops at the Dallas Museum of Art, The Crow Asian Art Museum, Greenhill School, and Saint Mark’s School of Texas among others. Chaco’s artwork has been exhibited in Dallas, Santa Fe, New York and Los Angeles and Paris. 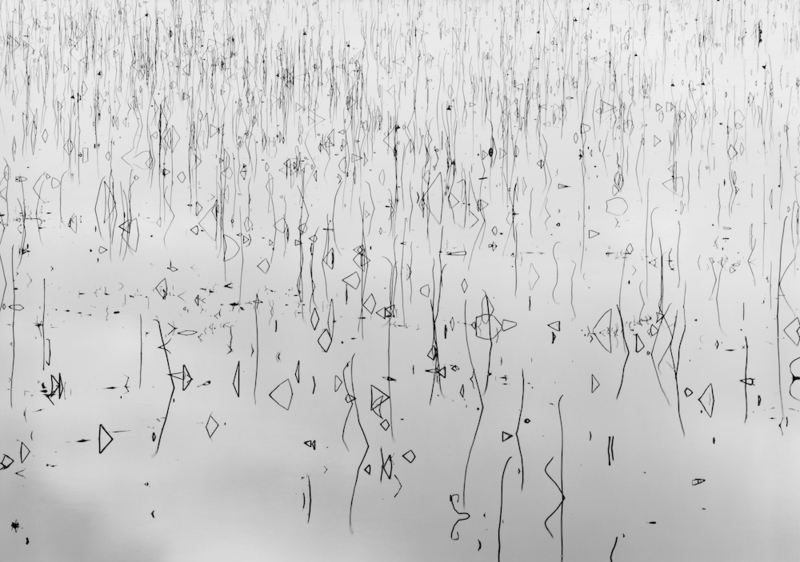 Rendezvous with Light opens Friday, November 17th with an Artist Reception from 5–7pm.